Happy weekend, Netflixers. October continues to treat with the addition of some great new titles this week. This week sees a slight drop in the number of titles but that’s getting made up for with quality. We get another season of the hilarious series Schitt’s Creek and several anticipated Netflix Originals including some spooky movies and a deliciously scary new cooking show! Looking for more in the Halloween department? Check out our list of Every Zombie Series and Movie on Netflix in 2018. Check out what’s arriving over the next 7 days. ‘The Curious Creations of Christine McConnell’ arrives October 12th. Sofia is an ordinary girl who becomes a princess overnight when her mom marries the king. Now she must adjust to royal life. Arab-American comedian Mo Amer recounts his life as a refugee comic. A Japanese reality television series in the Terrace House franchise set in Karuizawa of the Nagano. After devastating terror attacks in Norway, a young survivor, grieving families, and the country rally for justice and healing. An ambitious TV reporter uses risky and ethically questionable methods to report gang wars and police corruption. Samin Nosrat’s hit cookbook is now a four-part series. A wealthy couple suddenly finds themselves completely broke and move their family to a small town they bought as a joke. They left Hill House long ago in the dead of night. But memories of what they saw there continue to haunt them. A series inspired by the classic novel by Shirley Jackson. In 1905, a drifter on a dangerous mission to rescue his kidnapped sister tangles with a sinister cult on a deserted island. 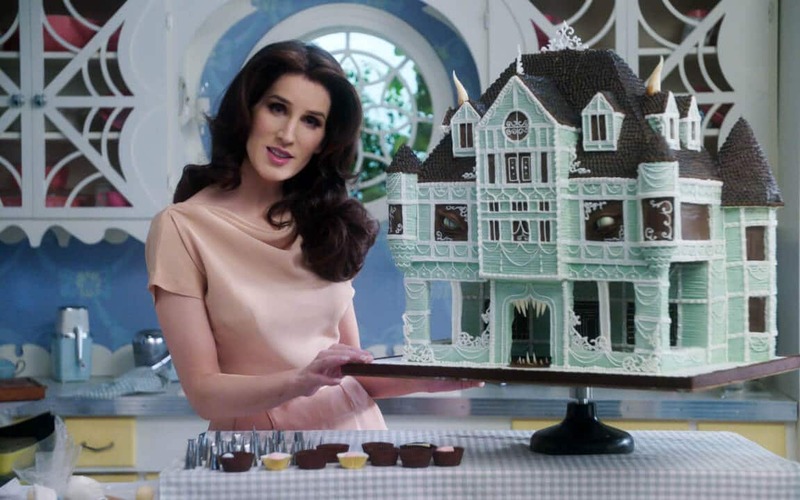 Instagram star, artist, and author Christine McConnell brings her spooky creations to Netflix in this new baking and DIY series. Actor and fight enthusiast Frank Grillo travels the world, immersing himself in different fight cultures in this docuseries. This new documentary series will air one new movie a month, each about a different rock group or star. This month’s subject is Bob Marley. A devoted teacher takes an unhealthy interest in a young student’s creative potential after hearing his poetry. A brutal blacksmith tortures a demon he blames for his misery, unaware a trespassing orphan is about to change everything. Saved from a plane crash and given supernatural powers, teen Tarzan joins forces with brave city girlJane to protect his jungle home. Based on the hit movie, The Boss Baby teaches others about the art of business. What are you looking forward to seeing most this week? Let us know in the comments! Previous story Is ‘The Addams Family’ on Netflix for Halloween 2018?